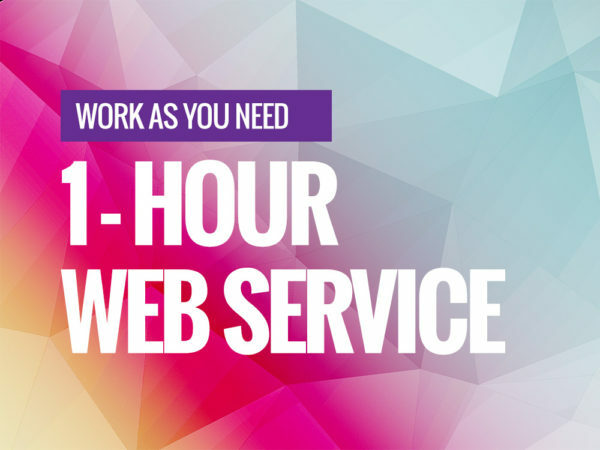 Get all your tasks completed by the most skilled in the community of web developers, digital marketers & designers. Trying To Complete A Project That Has Been Pending For Years? Get It Done In 15 Days. Here’s the hard truth about a side business: most of them never get started. But it’s not the end, of course. All you need is just a virtual partner that you can pace the project according to your needs. No lengthy partnerships, no nonsense. Period. Deadline Was Yesterday (DWY) is created to serve all your needs. Get that long awaited sideline started with us today. You will not regret the returns. 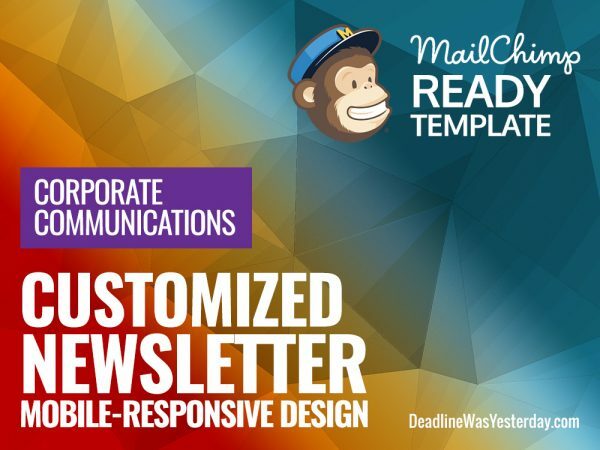 Get a fully-customized mobile responsive email template that is MailChimp ready-to-send. 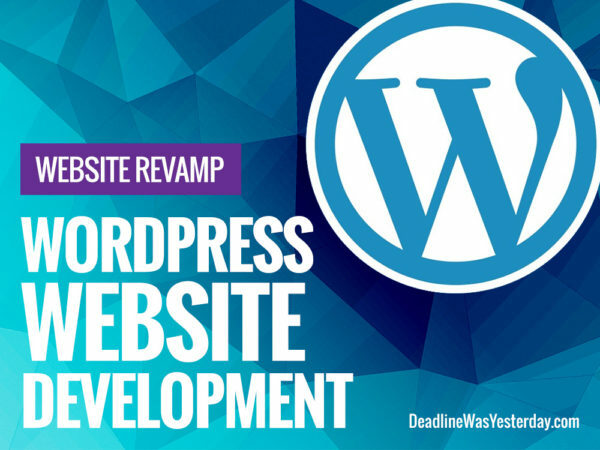 Get your new Website on WordPress, the most popular Content Management System. Work as you need. Get the best of our community of designers and developers 1 hour’s work. I have absolutely no doubt that The Team at Deadline Was Yesterday (aka “DWY”) ranks among the very best IT brains that I’ve ever worked with or have known thus far. The DWY Team worked on our company website and SEO optimization. The result is outstanding. Our website ranks highly on search engine first page for various of keywords and for a long time. Due to that, our sales have been growing. The DWY Team have many great and exceptional qualities to be entrusted with big and dateline-critical projects. They are very reliable, easy to talk to, have a sharp mind coupled with good experience (they get what you want and give relevant, spot-on suggestions which work), good sense of dateline and above all a good positive attitude towards work. Their skills are also highly exceptional and they manage and motivate their team of like minded staff to move and complete project seamlessly. They rectify and solve problems swiftly and professionally and are great problem solvers. I highly recommend anyone looking to complete any e-commerce project to DWY. They are exceptional assets in this area. In my small business and being a sole proprietor, Deadline Was Yesterday aka DWY, proved to be a valuable partner. The creativity of the team in DWY is absolutely amazing. They take the time to understand the business concepts and design a website that caters to my needs as well as to the needs of my customers – a clean and clear design, with ease of navigation. The best part of DWY being my partner is their support services – always available to be a helping hand in resolving technical issues and in any unexpected circumstance, and their quick respond has been a saving grace to my business. THE DWY team understands the importance of branding in the e-commerce world and bringing out the professional image to help capture the right audiences. Truly a partner that is Creative; Available; Reliable; and Enthusiastic (CARE) – a partner who truly cares in making business better for their clients. Subscribe to get early access to new themes, discounts and brief updates. 2019 Deadline Was Yesterday. All rights reserved.